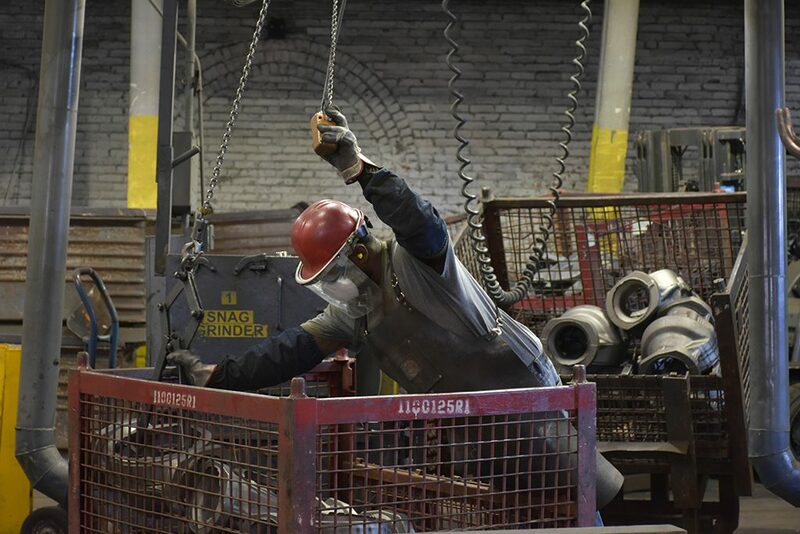 Success Story – Goldens’ Foundry and Machine Co.
John Boyd, plant manager at Goldens’ Foundry and Machine Co. in Columbus, Georgia, shares how implementing Managing for Daily Improvement has allowed their company to improve communication and take a proactive approach to problem solving. Goldens’ Foundry and Machine Co. in Columbus, Georgia has quite a past. Founded in 1882 to supply cast iron parts to power plants and textile production facilities clustered around the banks of the Chattahoochee River, the company has evolved throughout the years to produce everything from sugar cane kettles in the early 1900s to components of liberty ships during the 1940s. 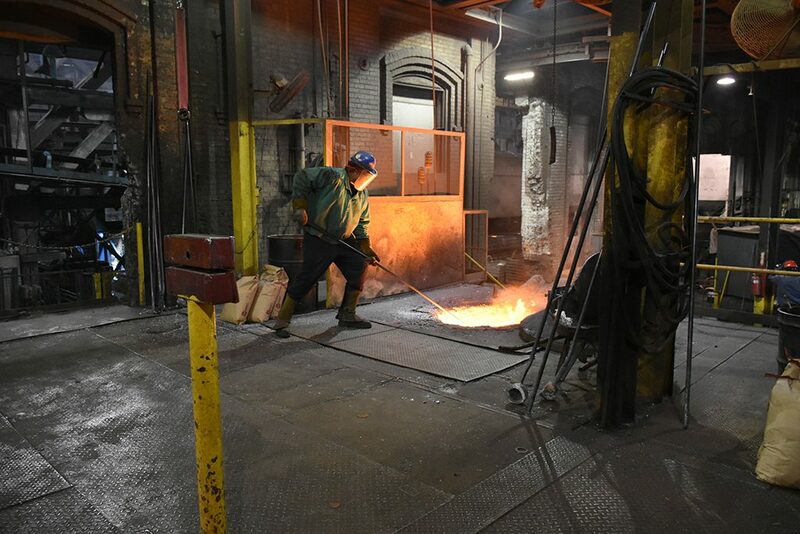 In present day, the company supplies parts for a variety of industries including construction, agriculture, petroleum, and transportation, as well as a new line of cast-iron grills made entirely in the United States. However, when John Boyd, a fifth-generation member of the Golden family, moved into the position of plant manager in 2015, he did not have the past in mind but rather the future. He knew there were great opportunities to make improvements in the company but didn’t exactly know how to get started. So, he called the Georgia Manufacturing Extension Partnership at Georgia Tech (GaMEP) for help. Derek Woodham, GaMEP West Georgia Region Manager, met with the company’s leadership team to better understand their needs and vision for the future of the company. One of the team’s top priorities was to improve communication throughout the organization and help managers better understand each department’s day-to-day needs. To meet this challenge, Woodham recommended they implement Managing for Daily Improvement, a management system designed to take the conversation from the conference room to the plant floor and improve information flow. During the training sessions, the team selected one or two metrics each department could focus on daily. They then developed visual boards to track these metrics and report other issues or opportunities. Once the boards were developed, the managers and supervisors from each department began doing a daily improvement walk stopping at each board for five to seven minutes. At each stop, the department head was given the opportunity to share information and discuss needs or ideas with the entire management team. Almost immediately, the company saw great improvements in communication and problem solving that transformed into improvements in the metrics that they were tracking in each department and eventually into improved performance across the entire organization. The system has provided an opportunity for the departments to connect with one another, allowing for better planning and work flow. In addition, it has taken away the tension of reporting issues to management by creating a positive atmosphere that is focused on not just reporting issues that have already happened, but rather solving or preventing problems before they start. Download the Goldens’ Foundry and Machine Co. Success Story Flyer.